Sony unveils world’s first digital binoculars capable of HD video recording and stereo sound in 2D or 3D. They are avsilable in two variants DEV-3 and DEV-5. 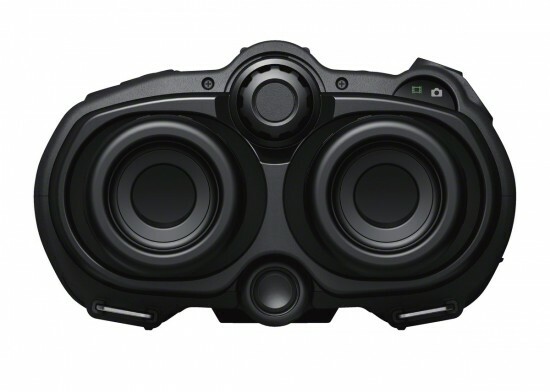 Both the binoculars offers 10x optical zoom. They capture videos in Full HD (1920x1080 resolution) AVCHD 2.0 format with autofocus and optical image stabilisation(OIS). It is equipped with wide-angle G-lenses (f/1.8-3.4 aperture) and 1/4-inch 4.2 megapixel, back-illuminated Exmor R CMOS sensors and powerful BIONZ processors, the models can capture up to 7.1 megapixels stills. The products include an external mic jack, mini HDMI jack, AVR jack, USB port and DC input. A tripod mount is accommodated on the bottom of the units. The battery compartment is large enough to accommodate an optional after-market extended life lithium-ion battery back (FV-100), although the units ship with a FV-70 (3.5 hours per charge) power source. The rechargeable battery that allows up to approximately 3 hours of 2D recording on a single charge. 3hrs. of 2D recording on a single charge. 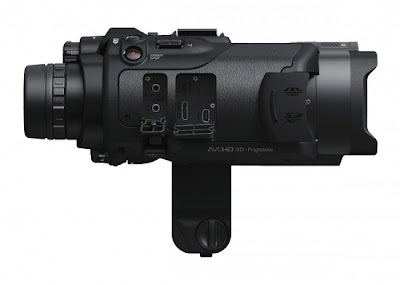 DEV-5 offers 10x digital zoom(5.4x in 3D) . DEV-5 features a built-in GPS receiver so the binoculars can automatically geo-tag videos and photos on the fly. The DEV-3 and DEV-5 are available in November 2011 for $1,399 and $1,999, respectively. 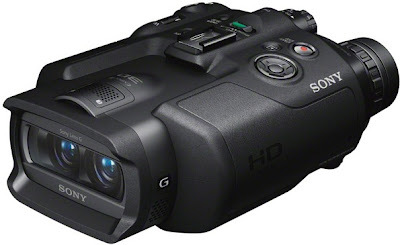 Tags: Digital binoculars, Sony Digital binoculars, Sony DEV-3, Sony DEV-3 binocular, Sony DEV-3 binocular features, Sony DEV-3 binocular specs, Sony DEV-3 binocular imgs, Sony DEV-3 binocular pics, Sony DEV-3 binocular review, Sony DEV-5 binocular specs, Sony DEV-5 binocular imgs, Sony DEV-5 binocular pics, Sony DEV-5 binocular review, 10x optical zoom binoculars, BIONZ processors, wide-angle G-lenses.